Not ready to cook yet? 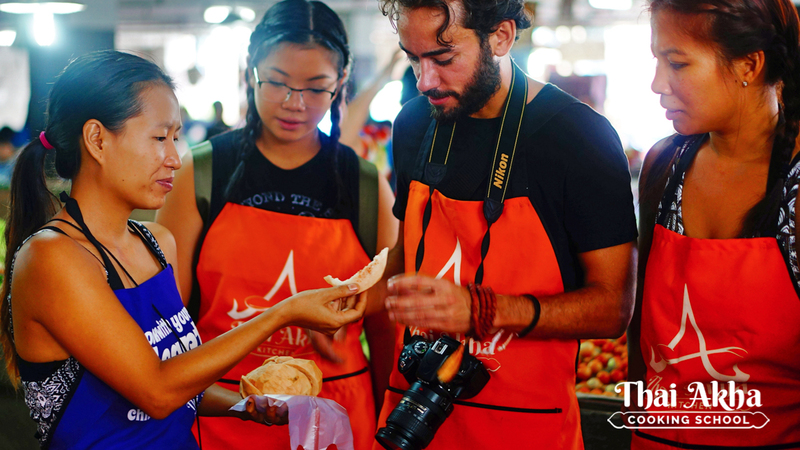 Discover Thai food through this Exclusive Market Tour! This Local Fresh Market Tour is not part of our Morning Cooking Class. 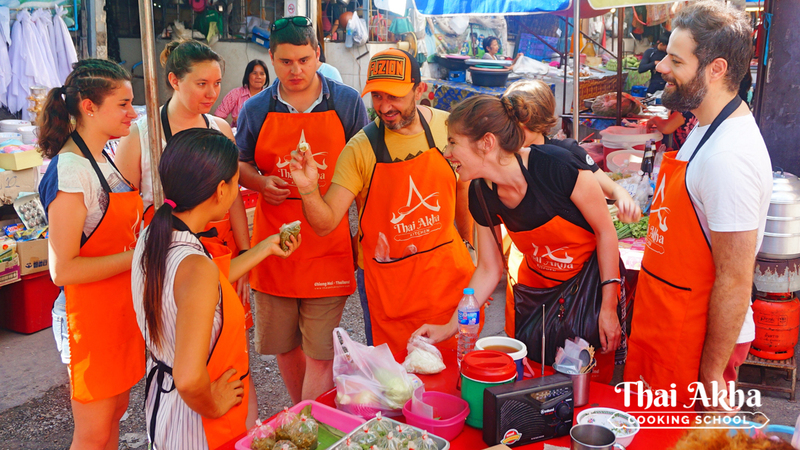 It’s an exclusive tour that will lead you to discover and try the most authentic Thai food as a local. Tourist Areas and Local Areas. They are totally different from each other, and most foreigners only get to know the tourist ones. 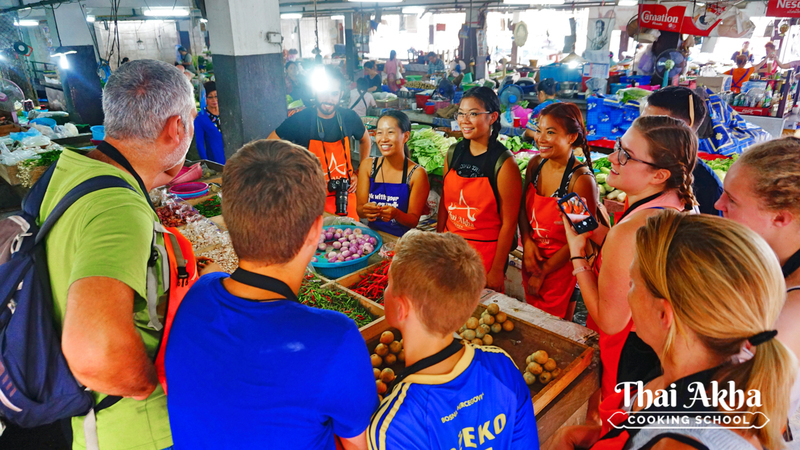 Have you visited a real Local Fresh Market in Thailand? Maybe “Yes” and maybe “No”. Why is everything in the open air? Is it safe to do that? The pork, fish, chicken… They have no ice! Why do they put everything in plastic bags? Do local people really eat insects or is it just a tourist thing? Dessert! Do Thai people eat dessert? Uhmm… I want to try that but I’m not sure. What is inside of it? Our Tour will lead you to all the answers. The best way of getting to know all of this is going into the area — seeing, touching and trying. You’ll get to try Thai traditional breakfast! Please come with an empty stomach. We promise you that this will be a day in which you will try many new things in your life! So, come with an open mind; willing to try new things. 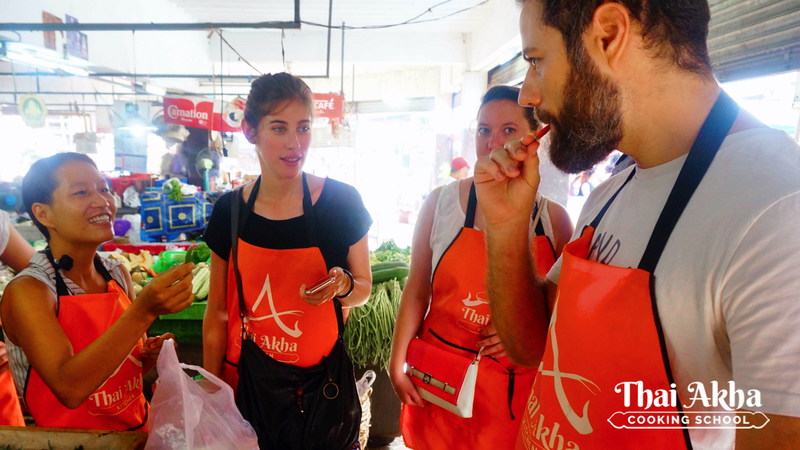 Explore a local market and get the answers you have been asking yourself all along. Try foods, drinks and fruits that seem interesting to you. 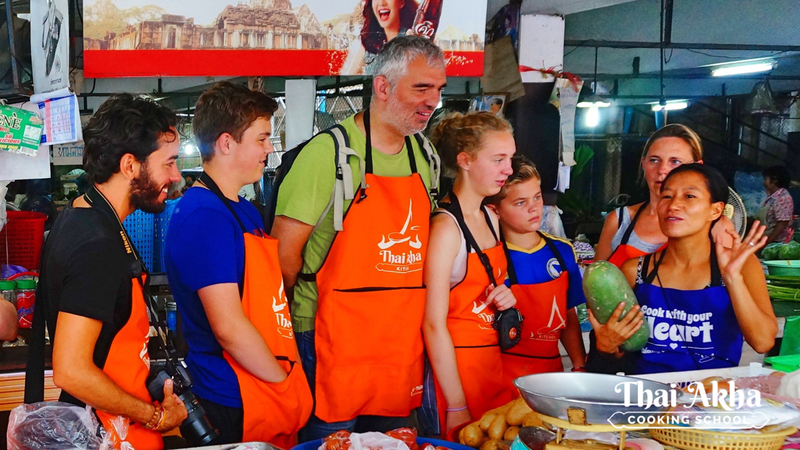 See, meet and get a feel of the locals — spend time with Thai people out of the tourist perspective. 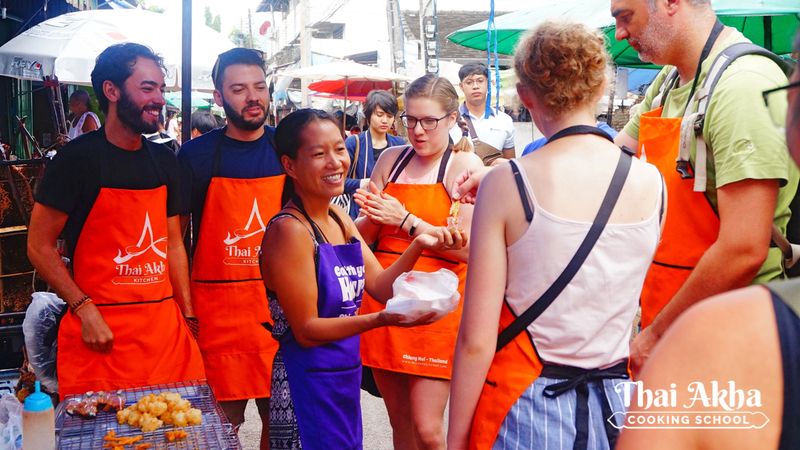 This is the best way to experience Thai culture: through food. Because food is life, and life is culture. Hang out at the park and share lunch all together like Thai people do. Departure point: Chiang Mai Gate Market, also known as Bumrung Buri Market. After the Local Fresh Market Tour, you will know what to eat and what is inside your meals. It will make your holidays easier, cheaper and more comfortable. By eating in local places, you will find the most affordable and authentic Thai food. We will start early at 8:00 am to meet at the Local Fresh Market. Normally Thai people get up very early, around 4 to 5 in the morning to go to the fresh market to buy or sell vegetables and food for restaurants that will open up later for tourists. Meeting up, introducing each other and having Thai breakfast together. Going into the market! 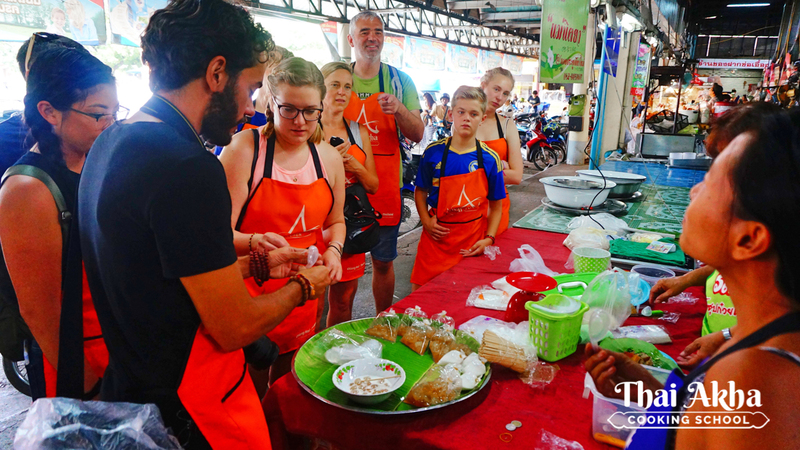 First, we’ll go through the vegetables and condiment sections to learn about the basic Thai ingredients by touching, feeling and smelling them. I’m sure a lot of you have eaten them before but have never seen the real ones! 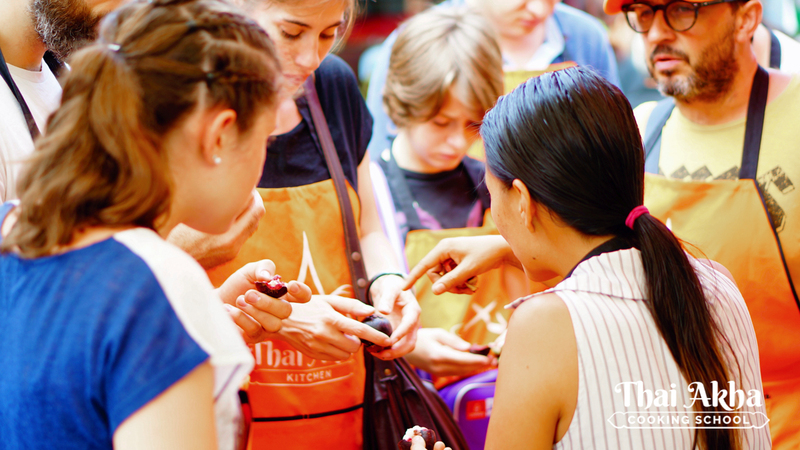 Then, it’s time to explore and try some authentic, new Thai dishes, drinks and sweets. Let’s take a walk with the food that we bought at the market and take it to the park, while we grab some street stand dishes along the way. We’ll hang out like locals do at the park with food. This is a very classic way of Thai “hanging out”. 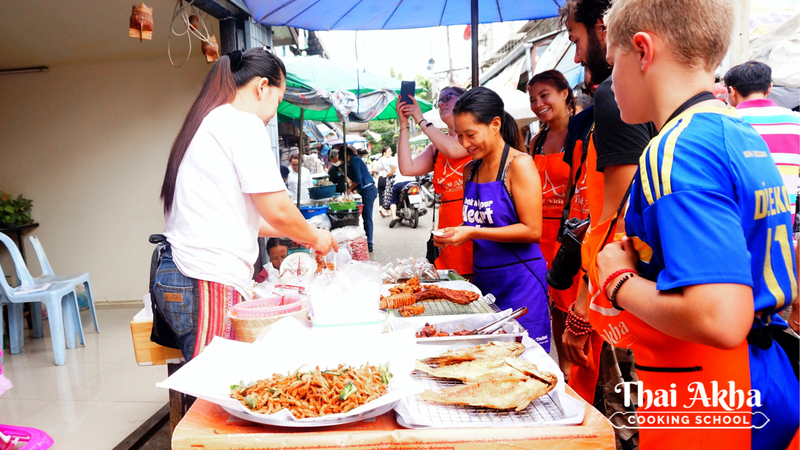 You will see local faces from outside the tourist perspective — always eating something. “Handbook” with the name of all the dishes, fruits, vegetables, etc. that we’ll discover in this tour. The handbook will be in English, Thai and it will include the pronunciation in Thai. You can take this book with you after the tour. A cross bag (custom-made Akha bag) with a bottle of drinking water, hand sanitary tissue, pen and an umbrella (to be returned after the tour is finished). A Thai traditional lunch box with a spoon, fork and chopsticks (to be returned after the tour finished). No big bags or luggage, but make sure you have your camera. You might want to capture the moment you will eat a silk worm, ant egg or pink egg! If you have any food allergies, please make sure to let us know beforehand. Foods that you might consider appetizers are viewed more as snacks in Thai culture. This would be something that we eat during break times, when we’re in a rush or on the weekend while hanging out with friends at the waterfall or in the park. We call this type of food “Khong Gin Len”, which literally means food to eat for fun. The following is a list of foods that can be considered Thai Appetizers (you might get to try some depending on the day): click on the link to see the list. Thai food is the most well known food worldwide, but you have probably only tasted the one served in Thai restaurants before. This tour focuses on the dishes that are not easy to find in these restaurants. You will get the authentic local Thai food that Thai people eat every day. The following is a list of foods or dishes that we might find in the market (each person can pick up to three dishes): click on the link to see the list. Thailand has many varieties of fruit. Some you might have tried before, but even then the taste of them is very different here. Fresher, sweeter, better. In Thailand we grow many different types of fruit that are not imported. 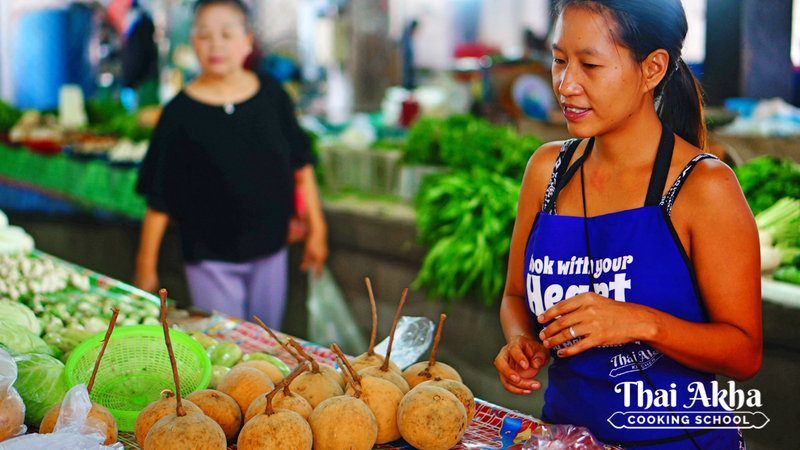 The following is a list of Thai Fruits that you will see in the market (you will get to try some depending on the season):- click on the link to see the list. Thailand has many refreshing drinks, such as Thai tea, Thai iced coffee or herbal drinks. 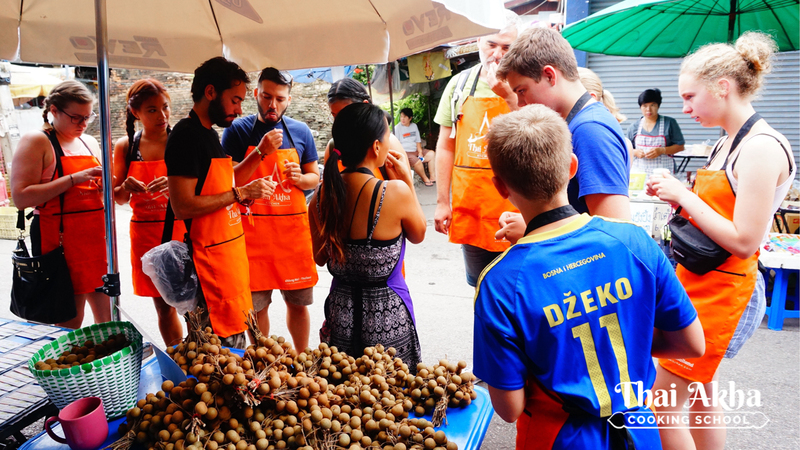 We will take you to the traditional market’s drink vendors to try some and order the one you like the most. The following is a list of Thai local drinks (each person can pick one drink): click on the link to see the list. When you eat out in a local Thai restaurant, you’re likely to get a strange look if you ask to see a dessert menu after you’ve finished your meal. That’s because authentic Thai restaurants don’t serve what Westerners consider dessert — that sort of food is reserved for sweet shops and certain street vendors, and it isn’t often eaten after a meal. However, we should note that touristy restaurants serve dessert. We call this “Khong Waan” (which literally means “sweet thing”), and it’s mostly reserved for leisure time. The following is a list of Thai desserts or Thai sweets (you will get to try some of these depending on what is available in the day of the tour): click on the link to see the list. While visiting this section, we will learn about the most important ingredients when creating a dish. 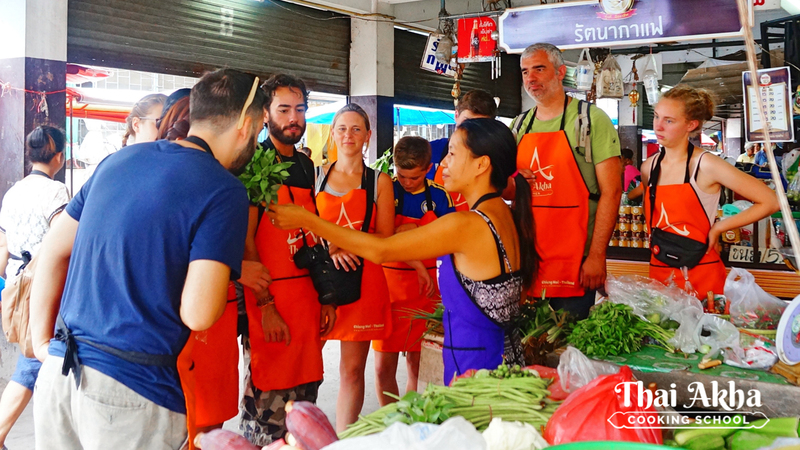 We will witness first-hand the wide variety of taste, color, size, texture of Thai vegetables and get to know them better by touching, feeling and smelling them. You might have eaten some of them, but, have you ever seen them raw? click on the link to see the list.